See this guy? Some of you will know him well. 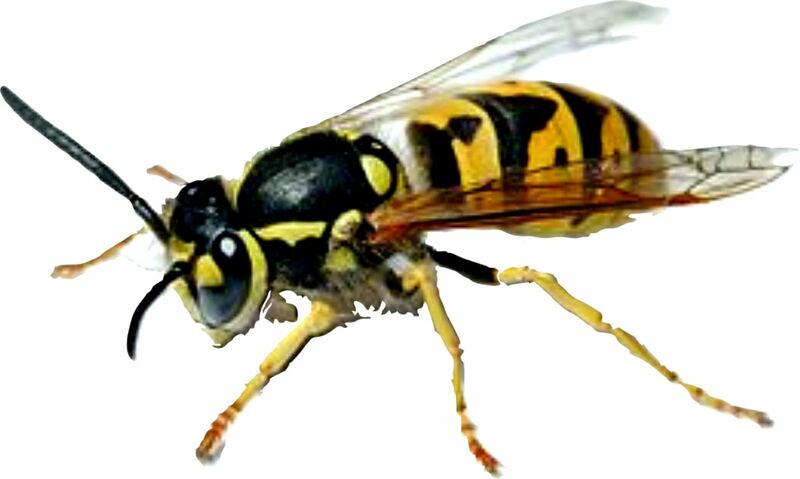 He’s called a Yellow Jacket Wasp. And sadly, he has been a problem these last 2 years around here. Seems like anytime you have a hot dry Summer you get a lot of these guys. ?? Last year they built a nest under our back step. I tried to co-exist with them, but after a while it just didn’t work. They were getting into the house. We couldn’t barbecue or sit out back either – they would land on our food – or us. Their sting is pretty bad. I once got stung by one and I could still feel it 2 years later. Finally, I decided I had to do something about them. I tried to block the hole to their nest – hoping they would re-locate. Didn’t work. Then I sprayed Wasp Killer into the hole when they were asleep. That didn’t work either. Finally, a friend told me about this stuff. Fill the bag half way with water and hang it up, he said. “There’s something in there that attracts them.” DON’T hang it near your door, barbecue or picnic table though, he advised. It’s slowed down a bit now, but hasn’t stopped. You see that black mass in the bag? That’s dead Yellow Jackets. Hundreds of them. I pray that Yellow Jackets don’t hold some essential place in the balance of nature? But why else would they exist? I’m open to any solutions that might get rid of them without killing any. ?? We had both yellow jackets in the electrical and cable intake box on the side of the house AND a huge wasp nest on top of the house. The cable guy wouldn’t come and fix anything until we got rid of it. Thus we called “The Man Who Kills The Flying Stinging Things.” He came, he saw, he removed. Finally, all is well. They were trying to build nests all over the place. It was making life very unpleasant. Now, we are at peace and they are resting in peace. Yeah … I hear ya. I didn’t come up with any solution except killing them either. I’m still open, but they can be a definite problem. We have the same problem with the wasp problem. There coming out from a little hole under neath our front step . We bought a similar looking bag like that but doesn’t work anymore. Where did you get your bag from? The bag you have works very good. 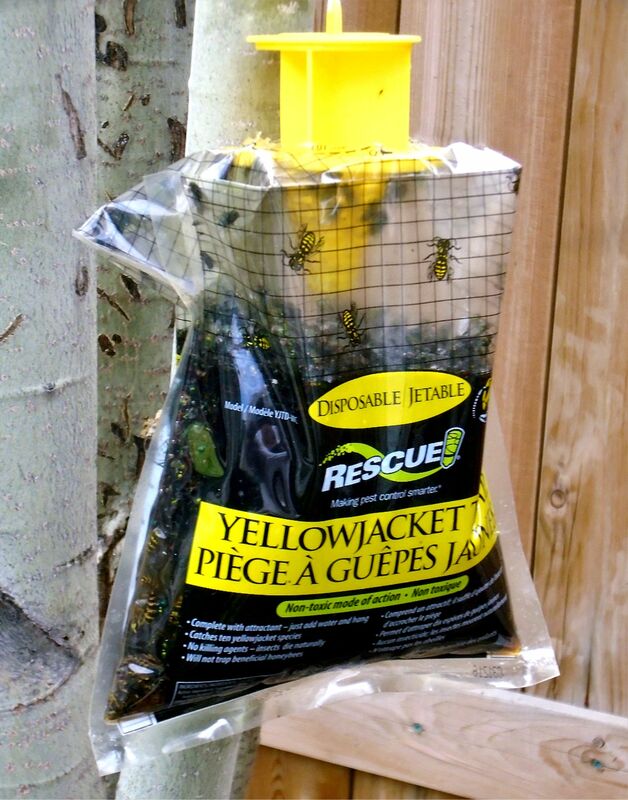 I’ve heard there are different kinds of Yellow Jackets and these bags might not work on all of them? I bought these at Home Depot – but other places carry them as well.